Yesterday a story came out about possible cheating by athletes coached by Alberto Salazar. http://www.bbc.com/news/uk-scotland-32877702 Of course much more is to come on this story and Salazar is denying all the allegations. Obviously I have no idea whether any of this is true but I thought I would share I little story about my brief encounter with Salazar and some thoughts on this subject. I first ran the Boston Marathon way back in 1988. It was only my second marathon and there were only about 6,000 runners. No chips, corrals or fancy stuff that I can remember. Much of the race is a blur and I remember more the feeling than anything else except this one part of the experience. I didn’t know the course at all and finding out info about the legendary course basically came from articles or from those that had raced Boston before. Nike, which was still very much a running company then, was offering tours of the course that were to be guided by some of their sponsored runners. I signed up for one of these tours thinking it sounded cool. I didn’t know many of the top runners back then. Of course I knew Bill Rodgers, Frank Shorter etc and of course the incredible Alberto Salazar. 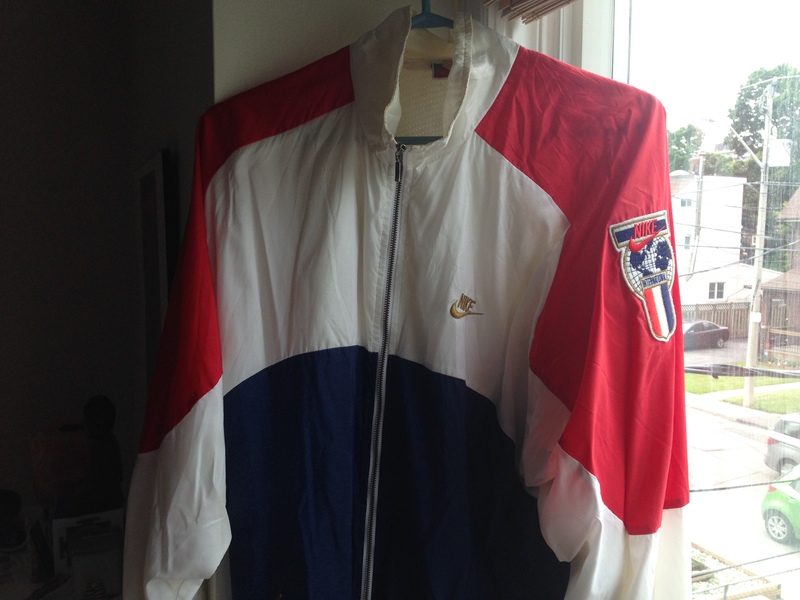 That year at the expo I had splurged and bought what I thought was the coolest jacket at the time, the Nike International Jacket in the American Colours (see attached photo). So there I was jumping on the tour bus wearing my new prize and I sat right at the front to get the best view of the course. After a bit of a wait, up the bus stairs came our Nike tour guide, Alberto Salazar. The other seat in the front of the bus was reserved for him, the seat beside me. I remember not being so much in awe but more just surprised. So for the next few hours as the bus rambled along the course I listened to all the stories and thoughts the great Salazar would share about the famous 26.2 miles. I confess I don’t remember much about what he said. I do remember that on that saturday in April I sat beside one of America’s greatest runners. I felt a bit like maybe I could with enough training and dedication I could be that guy. I mean he seemed ordinary and friendly. Of course we didn’t share the same talent and I could never have been that guy but on that Saturday we at least shared seats and same red, white and blue Nike jacket. 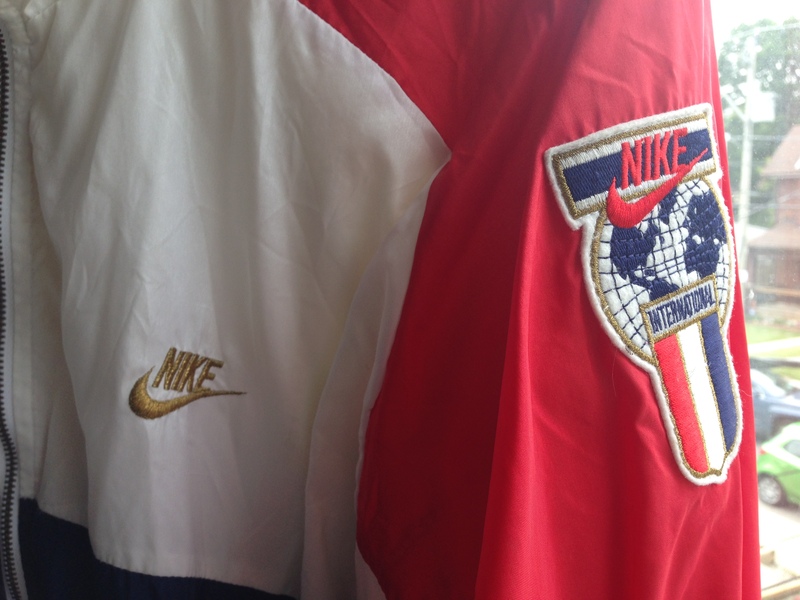 27 years later, I still have the jacket and those memories, I just hope that there are still good reasons to want to be that guy. My daughter, a couple of years ago, after the somewhat acrimonious break up of one of our favourite band asked me a question, She asked “Dad, is anything pure anymore? I said sure there is” If this article is true then I am perhaps a little less sure of my answer.